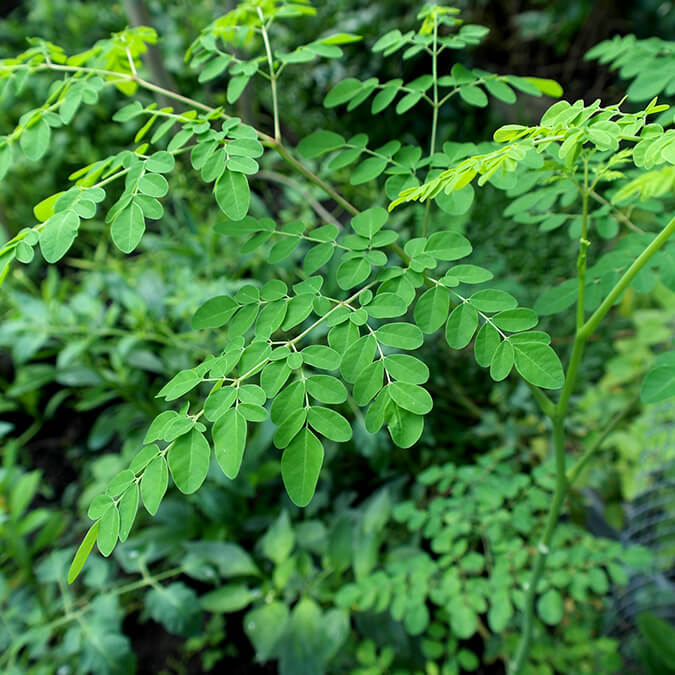 "Let Food be thy Medicine, and Medicine be thy Food..."
Moringa Foods International is a trusted, ethical manufacturer of top quality, highly effective, natural and eco-friendly products that offers solutions to everyday household needs, without harming the earth. We adhere to strict international protocols in the formulation and manufacturing of all products. This guarantees that only the very best is supplied to our customers. We have the latest systems in place to govern the traceability of the product between the farms where it was propagated and the end-user. As part of our PPP Promise – To conduct our business in the best interest of People, Pets and our Planet –our social responsibility drive extends to Cape Town, South Africa, where MFI runs a youth surfing project and assists projects in under resourced communities. 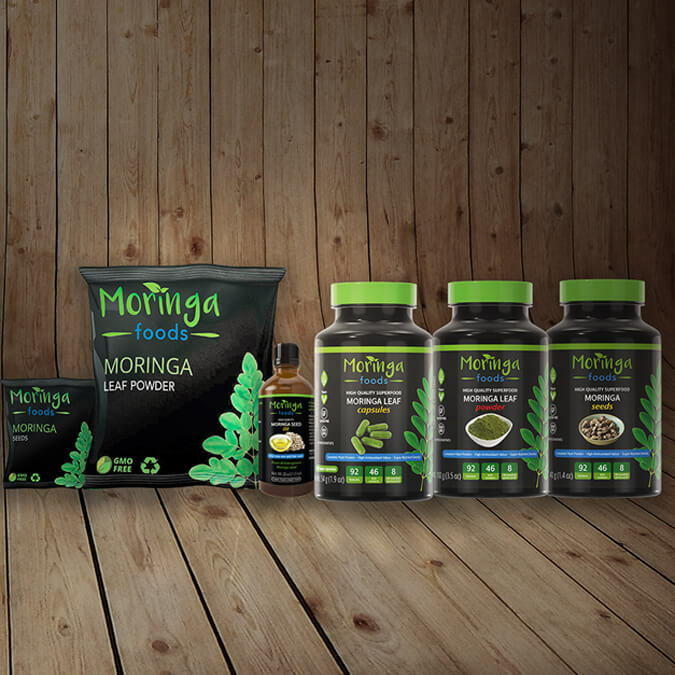 At Moringa Foods International, our team of farmers, researchers, product developers, IT specialists and manufacturers are managed by our CEO and in-house biotech specialist who have a hands-on approach, from farm to your door. “In our personal lives, we share a mutual love and interest for nature and all creatures big and small. The success of this holistic model is achieved through a supply process that has a positive environmental effect, with a diverse team of professionals specialising in sustainable business practices. Our Marketing and Distribution Team comprises of dedicated individuals that have many years of experience within their respective fields and geographical regions with the capacity to service a global market through ecommerce and direct sales. Our company ethos is to research, source, formulate, manufacture and market products that provide the highest quality of lifestyle and nutrition, while practicing a fair trade value chain process from farmer to you, in an ethically and culturally sensitive manner. We achieve this by supporting farmers in Kenya, Mozambique, Malawi and Zambia to ensure community growth, well-being and financial stability. We provide support to agri-communities in establishing capacity, while focusing on carbon mitigation and regenerative sustainability. 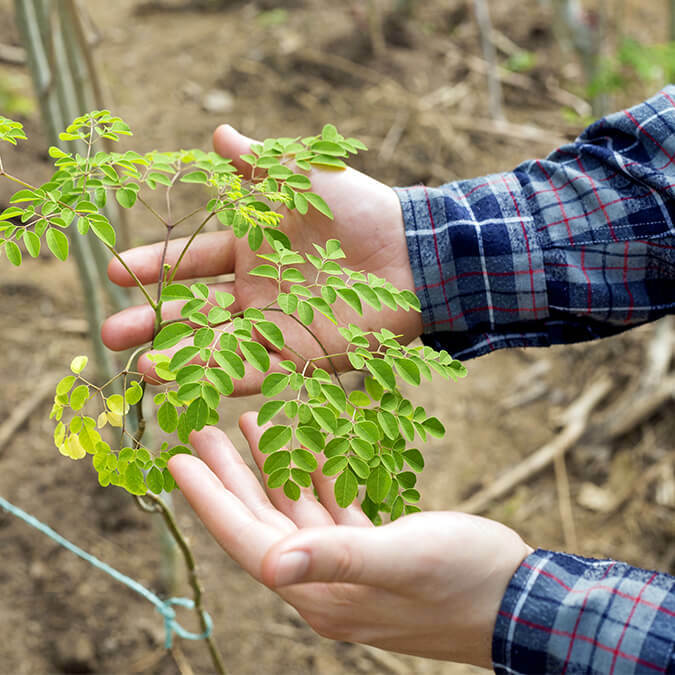 We partner with local work-forces in multiple African countries to up-skill individuals and empower commercial and community farmers, to provide for their families. 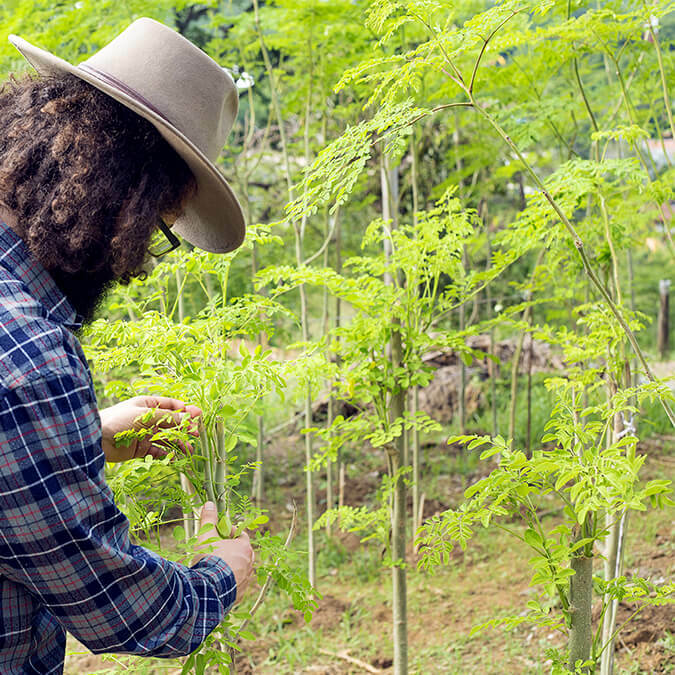 Through your purchase, you are contributing to this positive ecological and social entrepreneurial model. We implement a pharmaceutical approach to production, with every aspect monitored to ensure optimal quality and safety. Our business model strictly adheres to best FDA and cGMP Standards to meet global regulations and fair trade practices, while ensuring that our community farmers, commercial farmers and staff benefit accordingly from the growth and development of this business model. 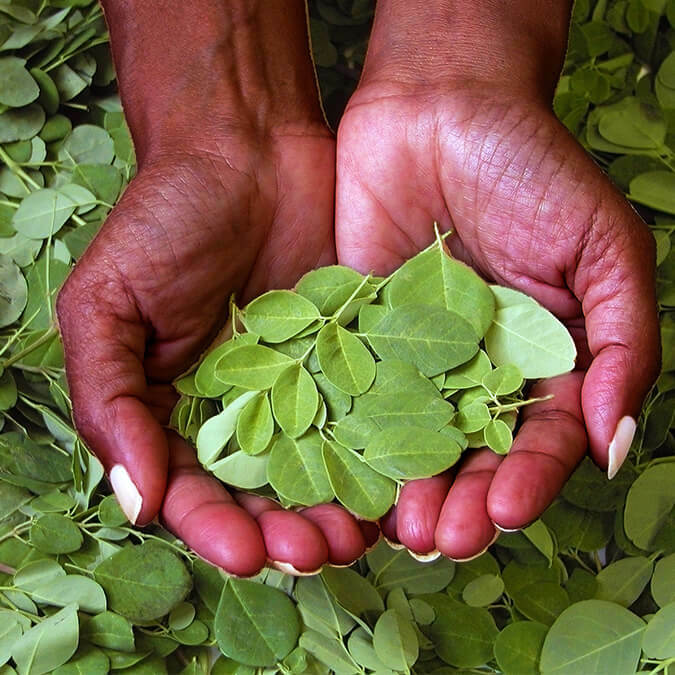 Our thorough accreditation process ensures only the highest quality Moringa is sourced for our products. Our product nutritional profiles and Health and Safety is constantly monitored by our in-house bio-chemist with the support of an independent Responsible Pharmacist. Please visit our technical page and find out more about our testing protocols, nutritional profiles and certification. In view of our ecological stance, we have found a way to reduce our carbon footprint by reducing the amount of adhesives on our labels, changing from vinyl to paper and reducing our print density to provide you with a quality, eco-friendly end product. 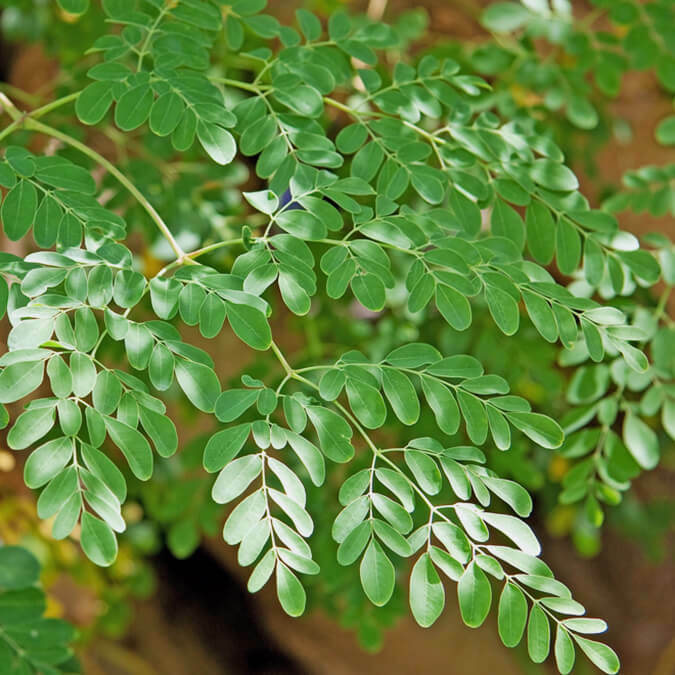 As Moringa powder is light sensitive, it will degrade when exposed to light or stored in see-through packaging. 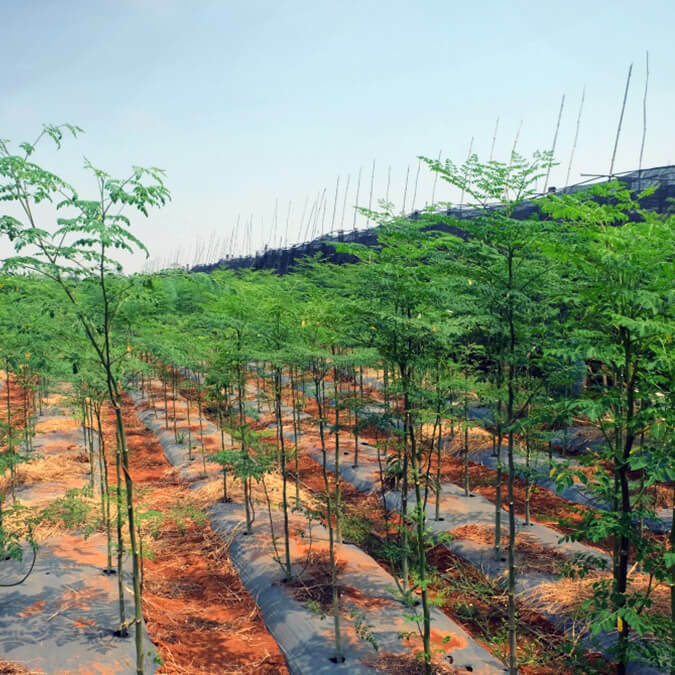 To ensure that our Moringa stays nutrient packed, we only use high quality, UV resistant packaging. We welcome your suggestions in helping us further reduce our carbon footprint.